It's been busy at Big Sky Brewing lately with the addition of three new fermenting tanks, the release of IPA in cans, and some new seasonal brews. 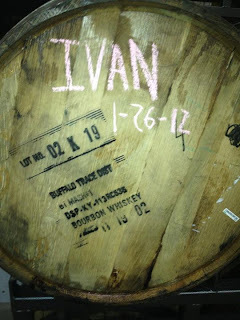 The barrels for Ivan the Terrible have recently been filled and put away to rest for a while. No telling when they'll be ready to go, but they were filled on the 26th of January. On the bright side, another one of Big Sky's "big beers" is about ready to come out. Olde Bluehair Barleywine 2011 is bottled and conditioning nicely. It will also be available on tap at some point when it gets released. No real word on All Souls Ale for this year other than that it's a darker tripel style ale with some rarely used hops and the Westmalle Trappist yeast strain. It's tasting pretty good out of the tank, but it still needs some time.